Reflections of a Grady Doctor: Cause and effect. 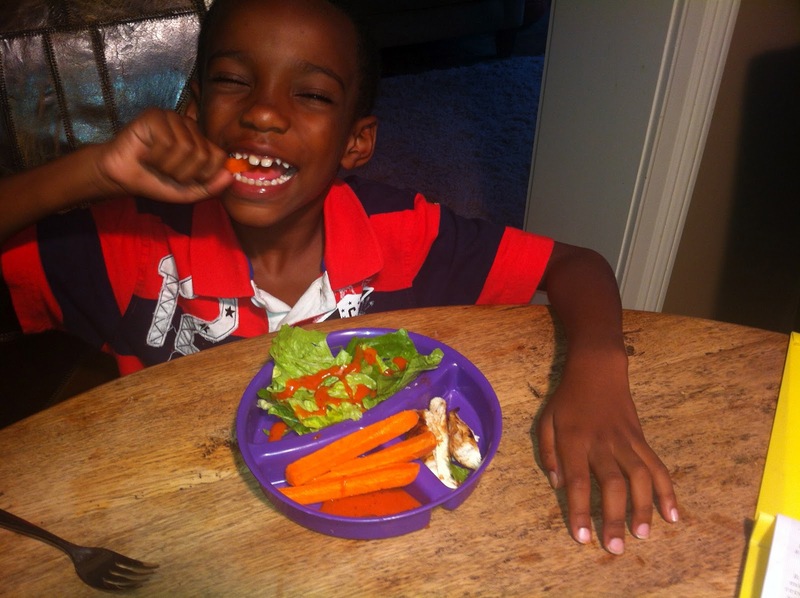 Isaiah happily consumes his vegetables. Mmm hmmm. Is it bad that I convinced my child to eat carrots by showing him my thick glasses? You know, the ones that he told me are "a little bit not that cool?" "Dude. If you don't eat your carrots you'll need thick glasses. Like these." Oh yeah and did you get the other memo? Salads and other green vegetables makes you run faster. Like waaaay faster. The darker the green the faster it makes you run. For reals. Don't hate the playa. Hate the game. Next thing you know you'll be telling him he'll go blind and bald if he does "that" too much. It's sort of truer than Santa Claus. So impressed. I will definitely be trying that one on the kids!